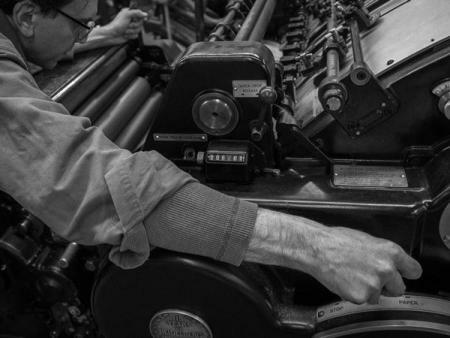 Since 1999 we’ve been striving to make letterpress printing available as a current and viable option to graphic designers, fine stationers, and all those who value craft. We work from digital output transferred to photopolymer plates, and our presses can handle sheets from 1.5x2.75 inches, to 17x22 inches. We die cut, score, perforate, emboss, deboss and foil stamp in addition to printing. Our clients range from brides-to-be to museums. We welcome any type of job, from experimental printmaking to simple imprinting — no job is too big or too small.